Star Gazer, The Horse Who Loved History, a kids book about horses, features resources for classroom teaching, and author Johanna J. Smith, MA, LPC, is available to instruct classes or perform Star Gazer as a one-woman show for schools, community groups, and libraries. Invite author Johanna J. Smith, MA, LPC, to speak to your school, library, or classroom to teach or perform her one-woman show of Star Gazer, The Horse Who Loved History for a fee (starting at $150). She loves to teach kids about the writing process and share information about her experiences in Africa. Please tell us where your organization or school is located. 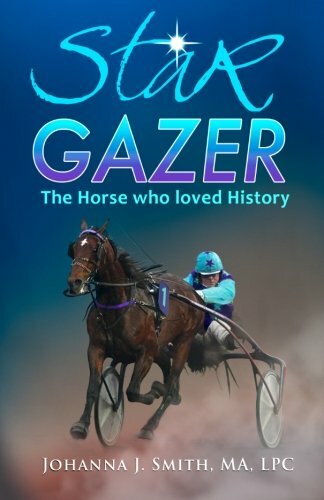 Star Gazer, The Horse Who Loved History is perfect for fourth, fifth, and sixth graders and features a vocabulary list and study questions in the back of the book to facilitate independent learning and classroom discussion. Have your school, class, or children's group perform Star Gazer, The Horse Who Loved History! Elementary school kids will love to learn about American history and government alongside Star Gazer the race horse! For $75, you can produce the play once and will receive one copy of the script. Johanna J. Smith, MA, LPC encourages community groups and organizations to donate copies of Star Gazer, The Horse Who Loved History to low-income schools and international schools. Johanna J. Smith, MA, LPC highly encourages educators to inform her what students liked the best, and if they have suggestions for improvements.